Join us to help fund a lasting monument, thanking the individuals who co-founded this life-changing bike ride that brings us joy each Summer! verbiage and photos from RAGBRAI. Ask yourself a simple question: “What would my summers and my life be like without RAGBRAI?” Could you imagine? No, we couldn’t either! Each of us has worked behind the scenes of RAGBRAI, and like you, has pedaled countless miles as part of this iconic Iowa treasure. 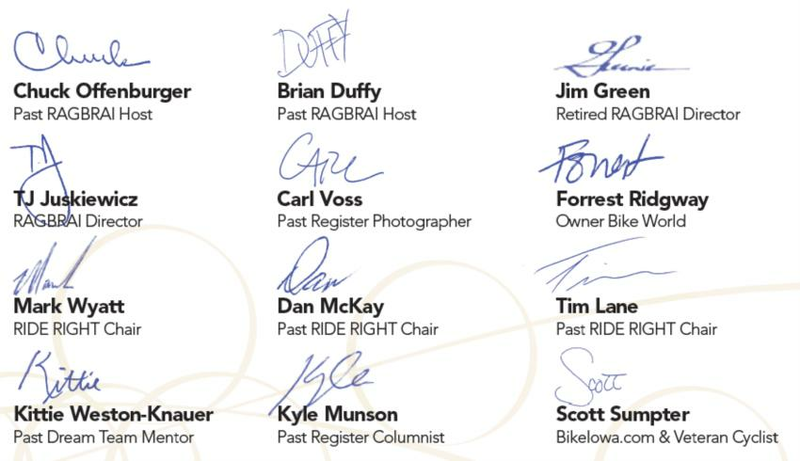 RAGBRAI has had a profound impact on our lives and we are asking you and your team to join us to help fund a lasting monument, thanking the individuals who co-founded this life-changing bike ride that brings us joy each summer! It is time to properly thank John Karras and the late Donald Kaul for giving us so many wonderful summers of lasting memories and lifelong friendships over the past 47 years. 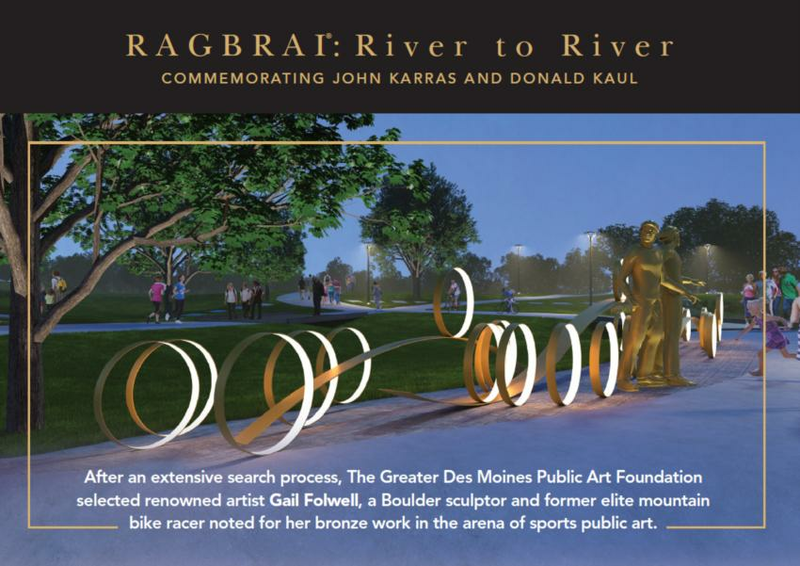 If this summer pastime means as much to you and your team or club as it does to us, we ask you to help today by contributing to the RAGBRAI: River to River sculpture commemorating John Karras and Donald Kaul. Contributions to the project are tax deductible. The project is planned in the shadows of downtown Des Moines as part of the new Waterworks Parks project that the original RAGBRAI rode past back in 1973. Our fundraising goal is $200,000 and can be accomplished by each rider contributing $25 towards this commemorative project. For the cost of a few beers and a porkchop, you can make the difference! For teams, clubs and individuals who contribute at the $1,000 level, you will be recognized on a lasting donor plaque. 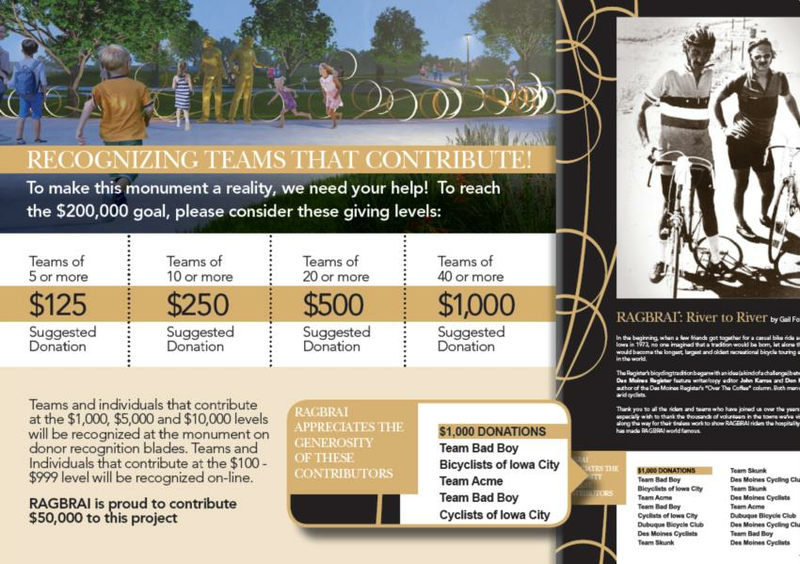 RAGBRAI is proud to contribute $50,000 to this project, but we need your help. 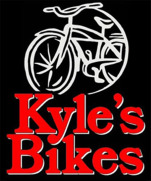 TO DONATE - NOTE: as of Tues, Jan 22nd the online link to donate is down, but will be back up soon! Please, download and complete the donor card or click this link to make your online contribution today through the Greater Des Moines Public Art Foundation! Also a GREAT article by in the Des Moines Register - A statue honoring RAGBRAI's founders finds a home. Here's what it will look like.